A garden bridge can be functional as well as beautiful. You can use it to draw the eye to a yard feature or as a pathway over a delicate flowerbed. How to enhance your garden with a garden bridge is a pretty simple task. You can either buy a pre-made kit set bridge or if you’re more daring build it yourself. If you’re installing a bridge over a flowerbed then chances are you’ll need to build it yourself to get the right size and shape. All you need to do is measure out how long the bridge needs to be and figure out the dimensions for the overall run plus stairs. Sink a few posts into the ground and attach the planking, handrail and steps. If you want to add a bit more durability to the project then why not consider using composite decking material. It’s made from recycled material and you won’t have to worry about it rotting out like you would with wood. 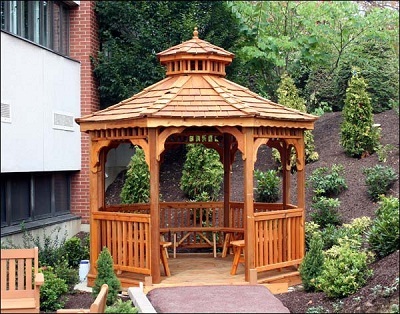 A pre-made or a decorative garden bridge kit is an excellent option as well. You won’t need to worry about having all sorts of carpentry skills to get a great looking product. All you need to do is find the right style for your garden and set it into place. Secure the footings so it won’t wobble and then you’re finished with the set up. If you are lucky enough to have a small stream running through the garden this is the perfect place for it. Whether you decide to build it yourself or purchase a finished product a garden bridge can add class and style to a formal garden or water feature in your backyard. 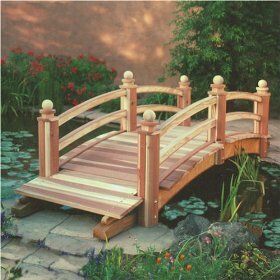 Enhancing your garden with a decorative bridge is a fairly straightforward project that will give you years of enjoyment. Comments Off on What is a Cabana? What is a cabana? It brings up images of tropical sunsets and fruity drinks. Simply put a cabana is just a poolside or beachside tent. They come in all shapes and sizes from permanent fixtures to ones that you can fold up and put away once summer is over. Let’s look at permanent cabanas first. A permanent cabana is mainly an outdoor changing room. It can be built out of any material. 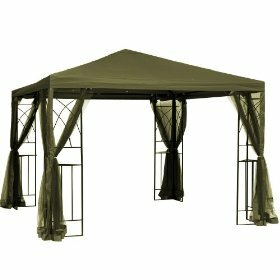 You can buy a kit set for a structure that can be as simple or as elaborate as you want. 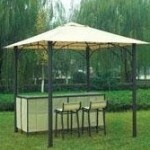 You can even even create your own design for a Custom Cabana to enjoy leisure time in. 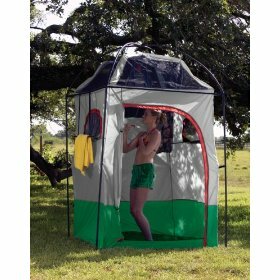 A simple cabana can just be a small room where all you need to do is hang a piece of cloth for privacy and you’ll have a convenient place to change or relax. 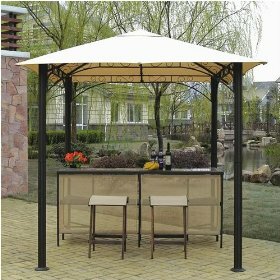 You can close it off when putting on the swim suit or leave it open as a place to relax and have a drink while getting some much needed shade on a hot summer day. These aren’t typical for the average home but quite popular at beachside resorts and around hotel pools. 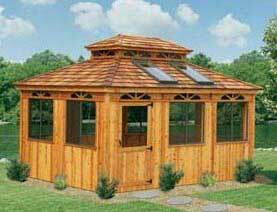 A storable cabana is probably a much better option for the home. And it is also something you can take to the beach or camping. You can put it up in the summer and take it down once the weather starts to cool off. 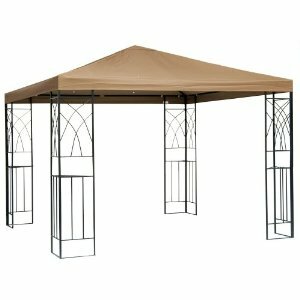 It sets up much the same way as an outdoor canopy. 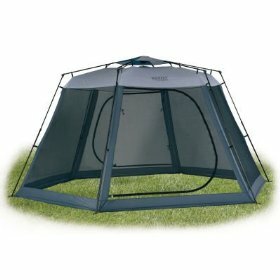 Just set up the frame and awning and close the drapes when you need privacy. One word of warning with a temporary set up though is to make sure it’s secured or taken down if you get any gusty wind. You don’t want the whole thing sailing off to the neighbor’s yard on a blustery day. A cabana is a great little cabin idea for any home. It sure beats having to trudge back and forth from the house to the pool dripping water the entire way. A cabana can add a bit of style to any home. So what is a Cabana? Simple, it’s a nice quiet cozy room that you can use for changing, relaxing or just enjoying that fruity drink out of the sun, in the middle of the day.